Ask the Mamas: Lovies Mama Say What?! | Mama Say What?! Each week we will ask our mamas a question from our readers that pertains to babies, toddlers, or parenting. Make sure to check back each Tuesday to see their responses! Do you have a question you’d like to ask the mamas? If so, send us an email with your question to askthemamas@mamasaywhat.com. 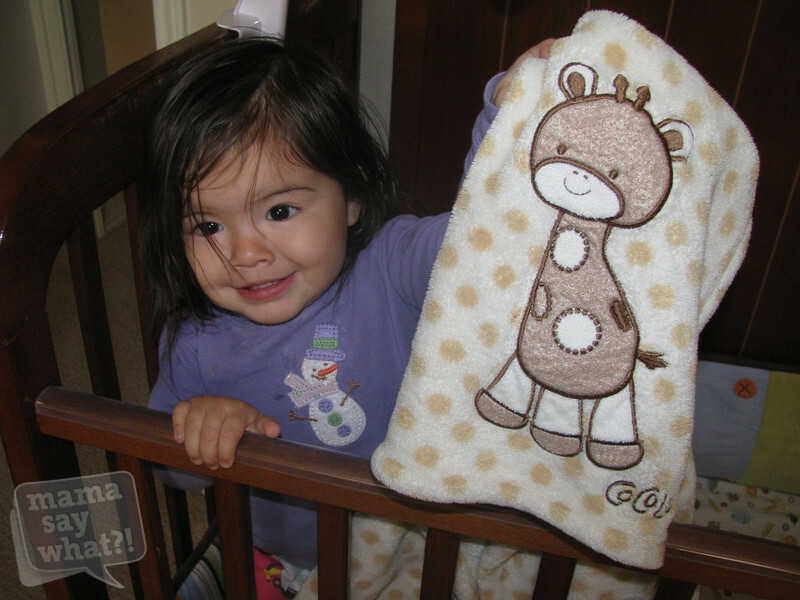 Elizabeth’s main lovie is an Aden+Anais Classic Issie security blanket. We actually have multiple Issie blankets. There is one for her crib, one in the diaper bag, and my husband and I each keep one in our car. 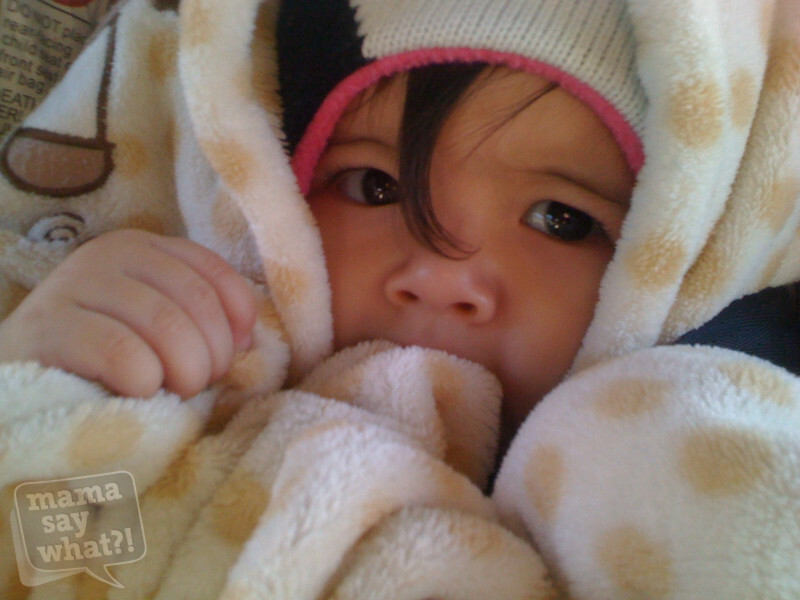 The blanket is only allowed at nap time and when she goes in to the nursery at our church. She doesn’t get her lovie every single time she takes a nap out of her crib, but if I remember to hand it to her before we get on the road, I will. She also has a Bunnies by the Bay Bunny Buddy, but it is strictly a crib lovie. While she does cuddle with it, she most often plays and talks to it when she wakes up from her naps. 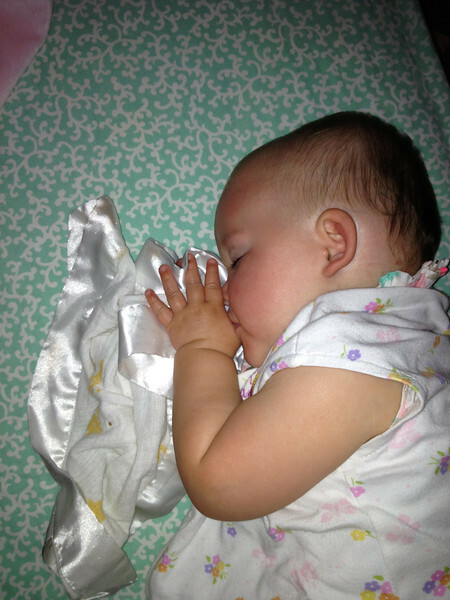 ~ Michelle W.
Both my kids have blankets (plush ones with satin trim) that they’ve had since they were infants. Each became attached to their blanket around 12 months. We don’t limit their use at all. My daughter, aged three-and-a-half, has naturally limited herself on her own as she has matured. She often leaves it behind in her room or if she does bring it along with her, she’ll leave it in the car. We’ll follow the same routine with my son, but so far, he doesn’t seem as fervently attached to the blanket as my daughter was to hers at the same age. ~Lori W.
Cassidy has a random pink blanket that she became attached to a few months ago. She doesn’t ask for it often but it comes with us when we leave the house for a long period of time and she always wants it for nap and bed time. I don’t limit her time with it. I figure if she’s asking for it, she wants a bit of comfort. ~Kathy S.
My daughter Emma is 18 months and her lovie is a blue bear. She only uses it for nap time and bed time. I’m a day school teacher for three-year-olds and I have two students who have lovies. For the first few weeks of school, it was awful trying to get them to leave them in their cubbies so they could do activities and participate in class. It was one more thing we had to worry about because if they left it on the playground, it was disaster come nap time. Just some food for thought. ~Whitney H.
My son is four-years-old and has a security blanket, lovingly called “pei-pei,” that was knitted by my aunt as a baby shower gift, so it’s been keeping him warm since he was a newborn. We discovered that he was very attached to it when he was about nine months old. Since then, my aunt happily knitted a second blanket, along with two mini blankets about one foot square. The small ones have come in handy. He has never slept a nap or a night apart from his blanket; it’s soothing powers are pretty awesome. But pei-pei mostly stays on his bed. It comes with us if we travel, but for the most part, it’s only there for sleeping. This wasn’t a rule we had to enforce, things just ended up that way… happily. ~Alex W.
My daughter has an Angel Dear animal lovey that she adores and finds very comforting. Our only rule is NEVER FORGET THE LOVIE. She sleeps with it at night and at naps and we always bring it on long car or train trips or when we know we’re going to be out all day and she may have to nap away from home. She’s only 20 months old so I’m hoping that she will naturally need it less and less without our trying to wean her from it. So far it has not caused any problems. ~Christina D.
Yes, we have “Puppy” which is a blue fluffy security blanket type stuffed animal and he is my son’s most favorite possession. When my son was an infant I wanted so badly for him to have this as his “favorite toy” and to carry it around where ever he went. I thought it was going to be SO adorable. Two-and-a-half years later, I am not so sure I should have wanted that so badly because we cannot break Puppy. Not that I really WANT to, but he is slightly obsessed with him. I don’t mind and I know it is his lovie and something he finds security in, but I just wonder how long we will be dragging Puppy to daycare every day. There are no rules for Puppy as that is his ONE thing he is allowed to have. 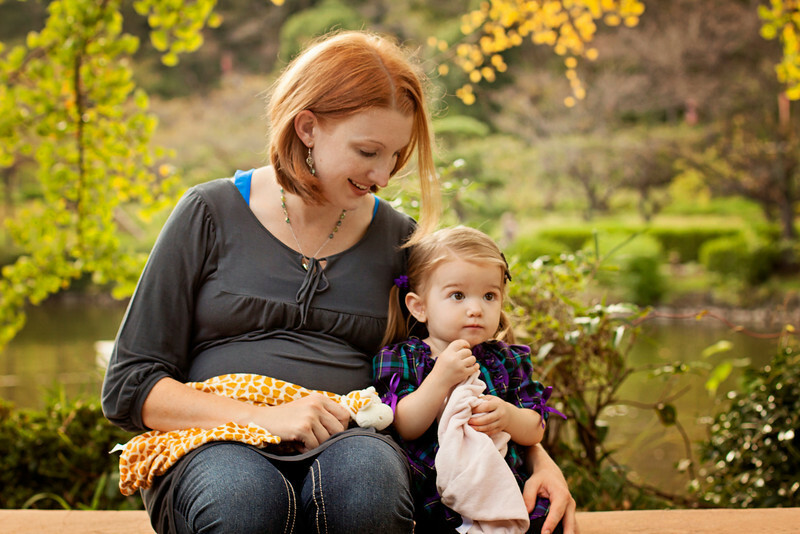 ~Melissa T.
Ask the Mamas: How do I Socialize My Little One? Ask the Mamas: Can I Skip the Toddler Bed? Ask the Mamas: What Car Works for Your Family? Ask the Mamas: What’s Your Favorite Convertible Car Seat? Added by Michelle W. on November 26, 2013.